Ona lighthouse was first lit the 20th of October 1867 and shines from the top of the rock Onakalven. The 14,7 meter cast-iron tower was produced at the naval wharf in Horten. The lens was supplied by the famous Henry Lepaute in Paris, France, after being presented and admired at the 1867 world exhibition. Two dwellings were built, one for the keeper and his family, and one for the assistant. There was also a storehouse, a small smithy and an oil-booth. In 1896 a landing with a crane was built, and a secondary light was installed in 1954. In 1971, Ona lighthouse was de-manned. The station is owned by the state and protected as a national monument by the Cultural Heritage Act. In addition, the natural environment, with its rich bird-life, is also protected. The Coastal administration has established a cooperation with local interests to facilitate new use of the premises. 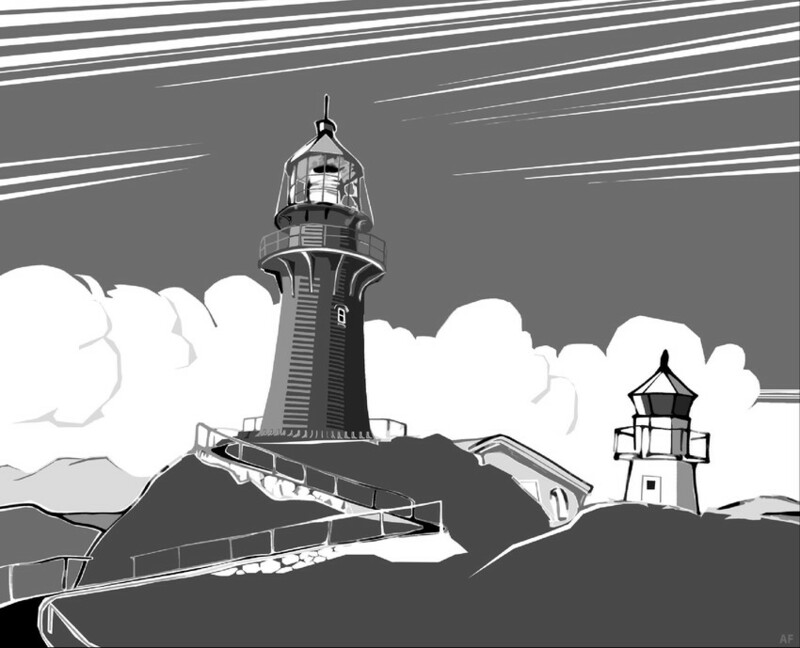 Guiding the way - The initiative to establish the lighthouse at Ona came from the Seaman’s Association in Trondheim. It is a coastal light that gives the mariners a safe landfall approaching the coast. In addition to the main light, the beacons at Husøy and Tvinitla gives directional lights in the waters around the old fishing community of Ona.